However, since I lost weight, my habits changed and I eat completely differently. 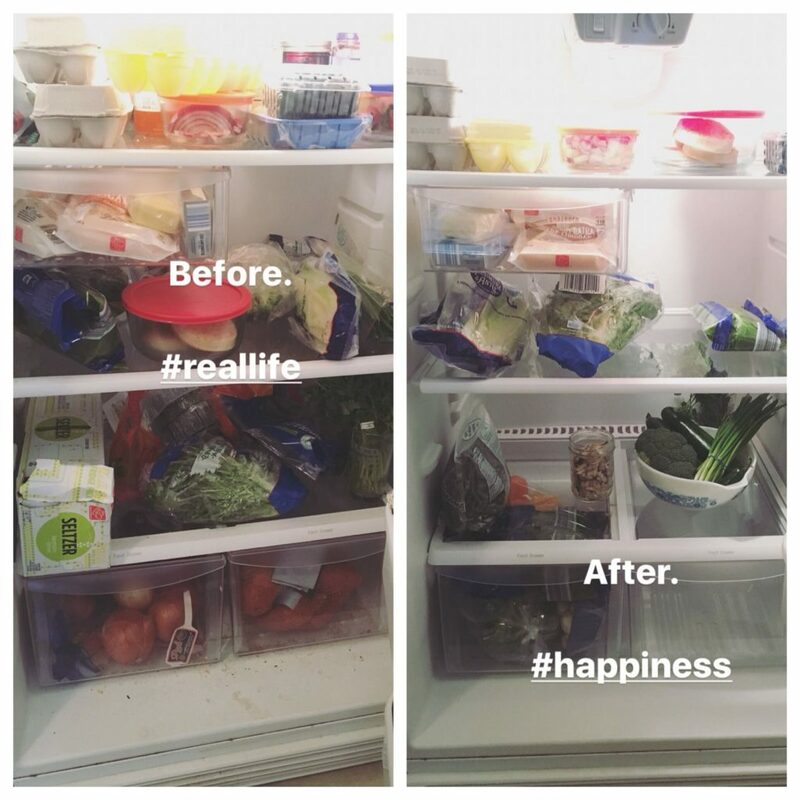 You can read more about what I eat daily here. This is what our fridge looks like on a normal week. First, let me show you the BEFORE/AFTER photo. Keep in mind that this is a real life fridge. #lifehappens. Ahhhh. The picture on the left is soooo bad, right?! Not only did we neglect on cleaning it (hello sweet potato dirt!) but we just let veggies pile up and some of them even went bad before we ate them. Sad face. But the picture on the right. Yasssssss. So much better! Super clean and shiny. Veggies organized – you can see them, therefore you know they are there to eat! Let me give you a close up of everything post clean. Okay, so as you can see above – here is a list of things we usually eat during the week. We eat a LOT of fresh produce. I get asked all the time if I’m vegetarian and the answer is no! I do eat meat occasionally – but most of the time, we just skip it. We get our protein most meals from beans! And veggies of course. (Did you know there is 17 grams of protein in one bunch of broccoli!? Heck yeah! 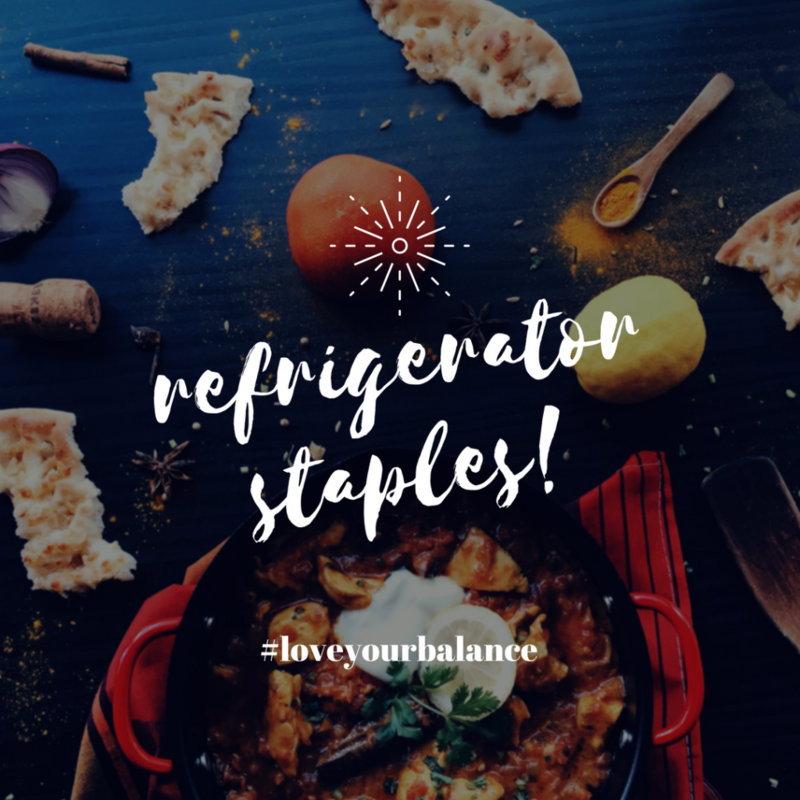 Let me give you a more organized list of staples that we try and keep in our fridge and how we use them! eggs! we eat eggs EVERY morning for breakfast. we also eat them on top of black bean burgers, breakfast tacos, and use them for cookies and baked goods. cheese! yes, we love cheese. a lot. probably too much. i don’t think i could ever become a vegan. 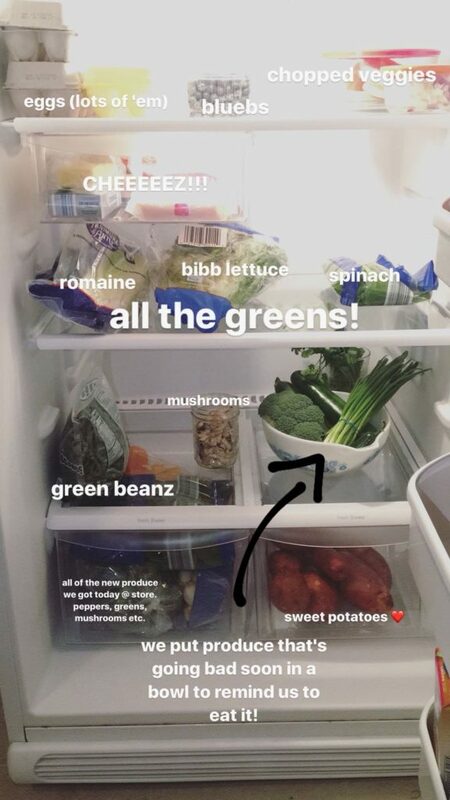 lots of greens! i love them in salads, in egg scrambles and we always use greens to wrap around our bean burgers. we usually have a loaf of sprouted bread. what you don’t see in the side doors of the fridge are…BUTTER! we love real butter. it’s the best thing ever. salted or go home! lots of condiments! we love all types of mustard, ketchup, mayo and PEANUT BUTTER! sour cream and ALWAYS a big jar of my homemade salsa! milk! we usually have half a gallon of whole milk (for Ben) and half a gallon of unsweetened vanilla cashew/almond milk for me! we keep our fruit at room temperature so we usually have a bunch of bananas, oranges, lemons and limes on our countertops. And that’s about it! Pretty easy right? Our food budget for the month is pretty low compared to most – $300. And we usually don’t even hit that. I love the things we eat! It makes my tummy happy and always excited for the next meal to come around. 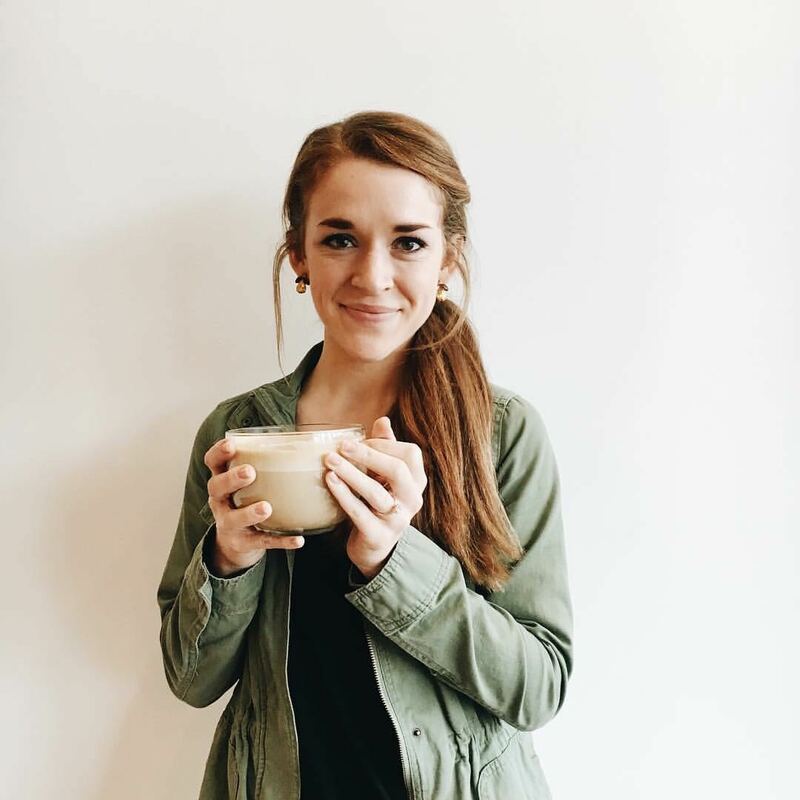 Stay tuned for my pantry essentials that are coming soon! This will include the canned goods I like, baking goods, chips, teas, etc. It’s gonna be a good one! PS: these photos were taken a few weeks ago. 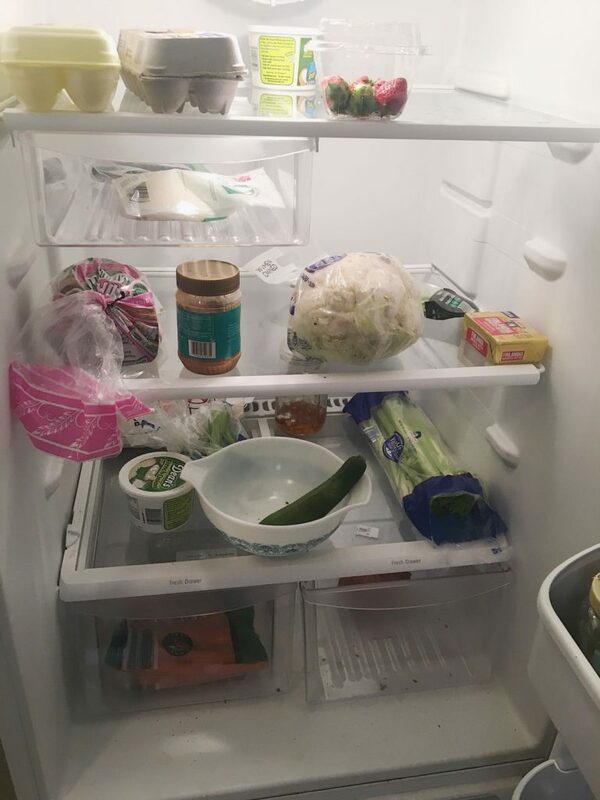 Let me show you what my current fridge looks like. Have a great rest of the week! xo.